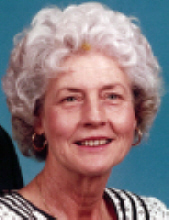 Annie Sue Earl Turner, 79, of Oak Grove Clover Hill Ch. Rd., Lawndale, passed away Friday, April 12, 2019 at Wendover in Shelby. Born on December 17, 1939, in Cleveland County, she was a daughter of the late Ivey Clayton Earl and Maudie Mozelle Hudson Earl. She was a member of Kistlers United Methodist Church. Sue was retired from Cleveland County Schools as a teacher's assistant. In addition to her parents she is preceded in death by her son, Troy Turner and two brothers, Johnny Earl and Bobby Earl. She is survived by her husband of 55 years, Bobby Alston Turner; daughter, Roxanne Proctor and husband Bryan of Casar, three grandchildren, Ethan Turner, Anna Simpson and husband, Nathan and Bryson Proctor; a great grandson, River Simpson; three brothers, Wayne Earl and wife, Lillie of Polkville, Jim Earl and wife, Lucille of Belwood; a sister, Linda Marshall and husband, Roger of Casar and three sisters-in-law, Barbara Earl of Lawndale, Pansy Earl of Fort Mill, SC and Merle Barrett of Lawndale and brother-in-law, Robert Turner of Morganton. Visitation will be 5:00 PM to 7:00 PM, Sunday at Stamey-Tysinger Funeral Home. A funeral service will be 11:00 AM, Monday at Kistler's United Methodist Church with Rev. Keith Sherrill officiating. The body will be placed in the church thirty minutes before the service. Memorials may be made to Hospice Cleveland County, 951 Wendover Heights Drive, Shelby NC 28150 or to Kistler's United Methodist Church, c/o Bryan Turner, 860 Elam Road, Lawndale NC 28090. To send flowers or a remembrance gift to the family of Sue Earl Turner, please visit our Tribute Store. "Email Address" would like to share the life celebration of Sue Earl Turner. Click on the "link" to go to share a favorite memory or leave a condolence message for the family.